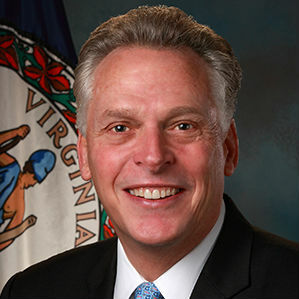 Governor Terry McAuliffe announced awards totaling $499,521 in grant funding for six agriculture-related projects aimed at providing assistance and creating new economic opportunities for farmers and agriculture organizations across Virginia. The grants are from the Commonwealth’s Rural Rehabilitation Trust Fund (RRTF), managed by the Virginia Department of Agriculture and Consumer Services (VDACS). The awards resulted from a solicitation of project proposals issued by the Secretary of Agriculture and Forestry. The projects represent a range of diverse initiatives that strive to boost economic opportunities in rural areas of the Commonwealth through education, workforce development, entrepreneurship, food access, and local farm production. Mobile Agriculture Education and Demonstration Project, Small Farm Outreach Program, Virginia State University Center for Agricultural Engagement: This project will assist VSU in developing a mobile agricultural educational and training center as a cost-effective way to train small limited-resource producers as the next generation of farmers. The center also will educate communities about food and nutritional health and provide learning opportunities to youth that exposes them to careers in agriculture, natural resources, conservation and STEM education. Award amount: $175,000. Demonstration Greenhouse and Aquaculture Educational Project, Collegiate Future Farmers of America (FFA) Chapter at Virginia Tech in coordination with Tunstall High School FFA Chapter in Pittsylvania County: The grant will help the FFA chapters develop a greenhouse and aquaculture system to educate students on effective production practices in these fields. Award amount:$14,595. Agriculture Based Professional Development Training and Support for Educators across Virginia, the Virginia Foundation for Agriculture in the Classroom: This project will support agriculture based professional development training for educators across Virginia help to align agriculture-based curriculum with Virginia’s standards of learning in pre-K through 5th grade. Award amount: $15,000. Agricultural Workforce Development and Training through Specialized STEM and Vocational Instruction, the MathScience Innovation Center Foundation: The center’s goal is to link farming communities in Central Virginia with food insecure students in public schools while building a farm-to-table model that can be replicated in other schools and rural communities. Award amount: $225,000. Local Food Access, Southern Virginia Food Hub: The project will provide training to address several issues – the lack of access to local foods in certain rural communities, food waste due to lack of retail and processing options and training and certification for food processor entrepreneurs. Award amount: $62,176. Building Agriculture Based Rural Livelihoods in Southwest Virginia, Appalachian Sustainable Development: The project will engage a wide variety of farmers in developing market-based opportunities and creating a culture of entrepreneurship tailored to meet the economic needs of this community. Award amount: $7,750. In order to better assist rural areas in the future and to ensure continuity and stewardship of the RRTF, VDACS is developing updated program guidelines. The updated guidelines and a streamlined application process will provide funding and financing options to agriculture-related projects impacting rural Virginia. The program will continue to support rural economic development through support of youth education, agriculturally oriented programs, pilot farming projects, farmer education and other rural rehabilitation projects. VDACS expects to announce the new round of applications and solicit proposals under the updated RRTF guidelines later in 2018. Virginia’s Rural Rehabilitation Trust Fund has its origins in the Great Depression and the Federal Emergency Relief Act of 1933. Following the depression, the federal government approved a series of diverse Emergency Relief Acts over the years that followed, eventually resulting in federal funding for state-sponsored programs under state-established rural rehabilitation corporations.